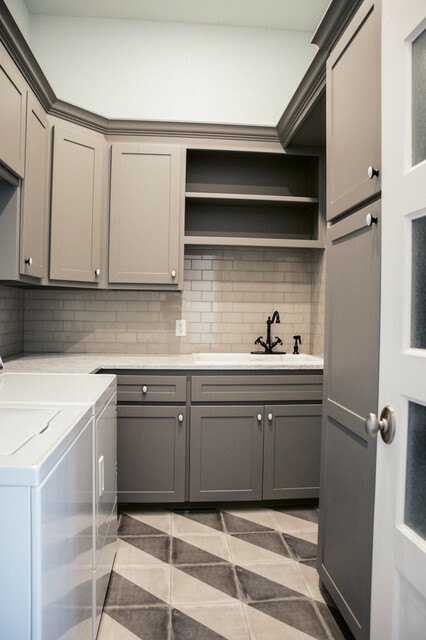 This u-shaped utility room is unique in many ways. We incorporated a double sink that was special for our client - she had fond memories of washing her babies in it and now they are all grown! To the right (out of picture) is a hanging bar for drying items and open shelving for more storage. The artisan striped floor tile really makes the room pop.